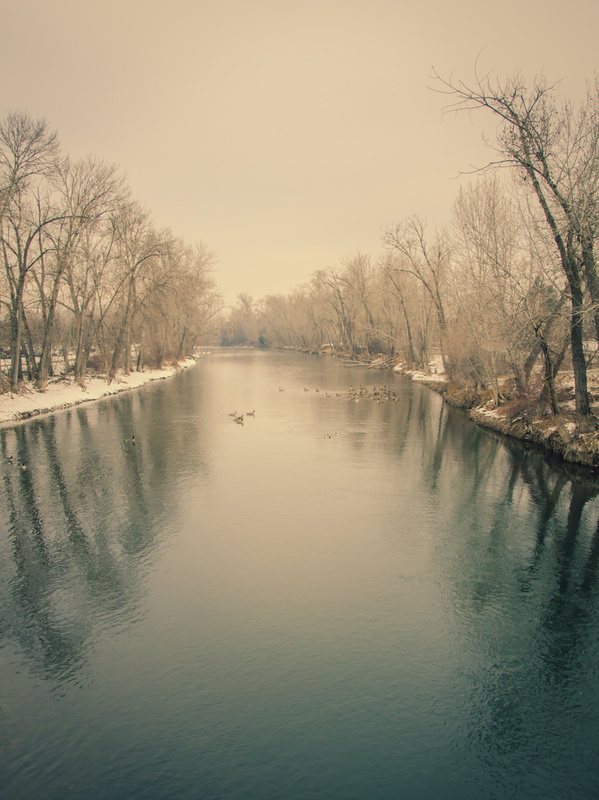 The river that runs through my town slows dramatically in winter. The summer rapids give way to a smooth, almost imperceptible, flow. Beautiful shot. Looks very cold! This is so beautiful Lisa. A definite Fav! this one's a fav. so peaceful and beautiful. Not only do I love the composition, the coloring is gorgeous! Just awesome color and subtle light. Like the tiny ripples too. This is such a soothing shot. So gorgeous and so serene, a beautiful image. This is so gorgeous......I could see this on a wall...fav! I like the darker reflections along each bank. This has interesting light / dark tonality. Gorgeous image. Lovely soft and dreamy tones. Such a wonderful scene! fav! Soooooo beautiful Lisa! You nailed this. A HUGE Fav!!! A beautiful soft, dreamy image - I like the wide-angle pov. Such beautiful composition and light - Fav! Very pretty! I love the tones and then sense of depth. It feels like it goes forever! Wonderful winter feel and love the tree reflections! Huge instant fav for this gorgeous shot! Wonderful ! Love the tones and composition and feel. Stunning shot. That water is beautiful. Fav. It looks like a painting - love the soft tones and processing. A shot of immense beauty. Fav again! just wonderful! love the tones and relfections! fav! That's wonderful! I just want to sit and lose myself in it. Fav. This is really beautiful! Love the soft light... FAV! And congrats on the TT! Congrats on double TT Lisa! So well deserved. Congrats on double TT, Lisa,a great way to end the year !! Lisa, Congrats on the TT. @sbolden @sansjuan @cazann @darknightrises @happysnap @monkeykid @taffy @grizzlysghost Thank you all for your kind messages. They are much appreciated! @gazbadger Thank you so much, GB! I appreciate your comment and fav. I used a cross processing preset in Lightroom for this edit. It uses split toning to make the highlights appear a beige/tan color. I also desaturated the overall shot.